Professor Ahmed Khalid earned his Ph.D. in economics from Johns Hopkins University, USA. He joined Universiti Brunei Darussalam in May 2015 as a Professor of Economics. He is currently Dean of UBD School of Business and Economics (UBDSBE). Previously, he worked at the Bond Business School as Professor of Economics and Finance since 2001. He also worked at the National University of Singapore (NUS) from 1992-2000. Professor Khalid has also worked with the World Bank (visiting Consultant); the Planning Ministry of Pakistan (Advisor to the Minister) and Washington and Lee University (visiting Scholar). His visiting academic appointments include Nanyang Technology University, Singapore; Lahore University of Management Sciences (LUMS), and Pakistan; and Pakistan Institute of Development Economics (PIDE). He has also worked as a consultant for leading institutions in finance and economics including the Economic Research Institute for East Asia and ASEAN (ERIA), Limberg Institute of Financial Economic (LIFE), the Asian Development Bank (ADB), CitiGroup, Haans Seidel Foundation and the UNDP. Professor Khalid is also Honorary Professor of Economics at Bond University, Australia and Founder and Covenor of Global Development Forum at the Bond University, Australia. He is a member of the U.K. based International Growth Centre (Macro Research Cluster – Pakistan Chapter) and Bond Representative for the Quality Assurance Program for Sur University College in Oman. Professor Khalid’s research interests are in applied macroeconomics and monetary economics, applied econometrics, financial crisis and financial sector reforms with particular reference to emerging economies in East- and South-Asia and globalization and financial market integration. 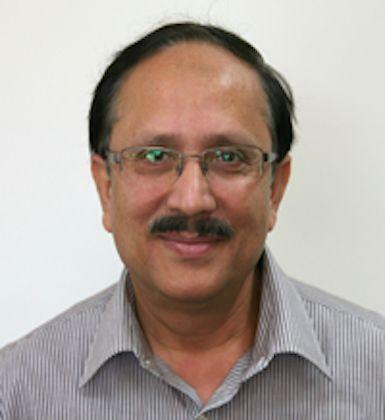 He is Associate Editor of Singapore Economic Review; member, Advisory Board, Jurnal Ekonomi Malaysia (Malaysian Journal of Economics); member of the editorial board of South Asian Journal of Global Business Research and a number of other regional journals. His published papers and books are widely cited in literature. His publications include four books published by Edward Elgar Publishing Co. U.K., internationally refereed articles, chapters in books and numerous consultancy/project reports, technical reports, working papers and conference papers. Ph.D. (Economics), the Johns Hopkins University, Baltimore, Maryland, USA (1993). Dissertation Title: Ricardian Equivalence in Developing Economies: The Evidence Re-examined. M.A. (Economics), the Johns Hopkins University, Baltimore, Maryland, USA. (1990). M.Sc. (Economics), Quaid e Azam University, Islamabad, Pakistan (1980). B.Sc. (Statistics & Mathematics), Punjab University, Lahore, Pakistan (1976). 1. Khalid, A. M (2017). Combining macroeconomic stability ad micro-based growth: The South East Asia/Asia Pacific experience, Lahore Journal of Economics, Vol 22, Special edition, September, 135-152. 2. Khalid, A. M. and R. Rajaguru (2017). Investigating the determinants of domestic bonds: the role of socio-economic and institutional factors, Applied Economics, Taylor and Francis, In Print (published on-line 16 April 2017). 3. Rajaguru, R, A. M. Khalid and F. Barbera (2015). It’s not Yen, Euro or Koala Bloc: Greenback is still dominant in East Asia, Australian Journal of Management, 1-23. 4. Malik, K.S, S.Z. Ali and A.M. Khalid (2014). Intangible Capital in a Real Business Cycle Model, Economic Modelling, Vo. 39, 32-48. 5. Falvey, R, A.M. Khalid and N. Foster (2013). Trade liberalisation and growth: A threshold exploration of channels, Journal of the Asia Pacific Economy, Vol. 18, No. 2, 230–252. 1. Khalid, A. M. (1996). Ricardian Equivalence: Empirical Evidence from Developing Economies, Journal of Development Economics, vol. 51, pp: 413-432. 2. Khalid, A. M. and T.W. Guan (1999). Causality Tests of Budget and Current Account Deficits: Cross-Country Comparisons, Empirical Economics, vol 24, no.3, 389-402. 4. Rajaguru, R, A. M. Khalid and F. Barbera (2015). It’s not Yen, Euro or Koala Bloc: Greenback is still dominant in East Asia, Australian Journal of Management, 1-23. 5. Khalid, A. M. and R. Rajaguru (2017). Investigating the determinants of domestic bonds: the role of socio-economic and institutional factors, Applied Economics, Taylor and Francis, In Print (published on-line 16 April 2017). 2017: ERIA/MOFAT project (with Dr Masairol and Dr Nazlida) on ‘Value Chain Analysis of Halal Food Industry in Brunei’ (US$10,000). 2016: UBD Competitive Research Grant (B$28,000). 2015: ERIA/MOFAT project (with Dr Masairol, Dr Nazlida and Dr Lennard) on ‘Reducing Unnecessary Regulatory Burdens on Business: Halal Meat and Meat Processing’ (US$24,000). 2011: Honorarium paid by U.K. Department of International Development (DFID) under Oxford based International Growth centre in acknowledge of completing a report on New Growth Strategy for Pakistan. Seed Funding for Symposium on ‘Analysing Reforms in Asia ($15,000), Business School, Bond University (with Mohamed Ariff). Seed Funding to initiate Macro Research Cluster at LUMS ($10,000), Lahore University of Management Sciences, Lahore, Pakistan. Bond University Research/Conference Funding, 2002-2008. Citi-Group/CMER Research Grant (PR120, 000), 2004. UNDP/TOKTEN Travel/Research Grant, 2002 (US$3,000). NUS Research Grant (S$ 15,775), Trade Liberalization Project, 1998-2000. NUS Research Grant (S$ 17,250), Financial Liberalization Project, 1996-99. 3. Rajaguru, R, A. M. Khalid and F. Barbera (2014). It’s not Yen, Euro or Koala Bloc: Greenback is still dominant in East Asia, Australian Journal of Management, Volume 39, Issue 4, PP: 549-571. 4. Malik, K.S, S.Z. Ali and A.M. Khalid (2014). Intangible Capital in a Real Business Cycle Model, Economic Modelling, Vo. 39, 32-48. 6. Badaruddin, Z. E, A.M. Khalid and M. Ariff (2013). Post-Keynesian Money Endogeneity: Evidence in G-7 Economies, Journal of International Money and Finance, 33, 146-162. 7. Badaruddin, Z. E, M. Ariff and A.M. Khalid (2012). Exogenous or endogenous money supply: Evidence from Australia, Singapore Economic Review, Volume 57, Number 4, 25:1-25:12. 8. Badaruddin, Z. E, M. Ariff and A.M. Khalid (2011). Money Supply Endogeneity and Bank Stock Returns, Applied Financial Economics, 21 (14), 1035-1048. 9. Gaston, N and A. M. Khalid (2010). Globalisation and Economic Integration, International Journal of Business and Globalisation, vol. 4, no. 4, 315-321. 10. Badaruddin, Z. E, M. Ariff and A.M. Khalid (2009)Money supply behavior in Emerging Economies: A Comparative Analysis, Journal of the Asia Pacific Economy, 14(4), 331-50. 11. Khalid, A. M. (2007). Bond Market Developments in Emerging Markets: Prospects and Challenges for Pakistan, Research, Bulletin, State Bank of Pakistan, 3(1), 43-62. 12. Khalid, A. M. (2007). Bond Market Developments in Emerging Market Economies: Concluding Remarks, Research, Bulletin, State Bank of Pakistan, 3(1), 159-164. 13. Khalid, A. M. and G. Rajaguru (2006). Financial Market Linkages and Shocks Spillover: Evidence from Pakistan, Pakistan Development Review, 45(4), 1041-1051. 14. Baharumshah, Lau and A. M. Khalid (2006). Testing Twin Deficits Hypothesis: using VARs and Variance Decomposition, Journal of the Asian Pacific Economy, vol. 11, no. 3, 331-354. 15. Khalid, A. M. (2006). Is Inflation Targeting the Best Policy Choice for Emerging Economies? A Survey of Emerging Market Experiences and Lessons for Pakistan, Research, Bulletin, State Bank of Pakistan, Vol. 2, no. 1, 145-165. 16. Khalid, A. M. (2005). Economic Growth, Inflation and Monetary Policy in Pakistan: Preliminary Empirical Estimates, Pakistan Development Review, Vol 44, No. 4, 961-974. 17. Khalid, A. M. and G. Rajaguru (2004). Financial Market Linkages in South Asia: Evidence Using a Multivariate GARCH Model, Pakistan Development Review, 43:4, 585-603. 18. Banerjee, D, J. E. Strum, and A. M. Khalid (2005). Socio-Economic Development and Software Piracy: An Empirical Assessment, Applied Economics, 37(18), 2091-98. 20. Khalid, A. M. and H. Khan (2000). Social Expenditure and Economic Growth: Evidence from Japan Using Cointegration Techniques, Singapore Economic Review, vol. 45, no. 1. 21. Khalid, A. M. and B. T. Cheng (1999). Imports, Exports, and Economic Growth, Cointegration and Causality Tests for Singapore, Singapore Economic Review, vol 42, no. 2, 32-39. 22. Khalid, A. M. (1999). Modelling Money Demand for Open Economies Using ECM: The case of Selected Asian Countries, Applied Economics, Vol 31, 1129-1135. 23. Khalid, A. M. and T.W. Guan (1999). Causality Tests of Budget and Current Account Deficits: Cross-Country Comparisons, Empirical Economics, vol 24, no.3, 389-402. 24. Khalid, A. M. (1996). Ricardian Equivalence: Empirical Evidence from Developing Economies, Journal of Development Economics, vol. 51, pp: 413-432. 25. Khalid, A. M. and H. Ahmed (1996). Anticipated, Unanticipated Money Growth and Aggregate Output: Evidence from Malaysia, Malaysian Journal of Economic Studies, vol XXXIII, no. 2, 99-105. 26. Khalid, A. M. (1995). Random Walk, Excess Sensitivity, and Cointegration: Testing the Robustness of RE/PIH for ASEAN Economies, Malaysian Journal of Economic Studies, Vol. XXXII, no. 2. 27. Khalid, A. M. (1994). Empirical Tests of Rational Expectation/Permanent Income Hypothesis: Evidence from Pakistan, Pakistan Development Review, Vol. 33, no. 4. 28. Ariff, M, J. Farrar and A. M. Khalid (2012). Regulatory Failure and the Global Financial Crisis – An Alternative Perspective, edited volume, Edward Elgar Publishing Co. London, 234p. 29. Gaston, N. and A. M. Khalid (2010). Globalisation and Integration in Asia Pacific: Winners and Losers in the Asia-Pacific, edited the volume of papers, Edward Elgar Publishing Company, U.K., 293p. 30. Ariff, M. and A. M. Khalid (2005). Liberalization and Growth in Asia: 21st Century Challenges, Edward Elgar Publishing Company, U.K. 399 p.
31. Ariff, M. and A. M. Khalid (2000). Liberalization, Growth and Asian Financial Crisis: Lessons for Developing and Transitional Economies in Asia, Edward Elgar Publishing Co., London, 540 pages. 32. Khalid, A. M. and Lennard, P W L (2017). Brunei Economy – An Overview, Chapter submitted to the book “The Belt and Road Country Profiles (Brunei Darussalam)” edited by Siti Norkhelbi, forthcoming. 33. Lennard, P W L and Khalid A.M. (2017). Brunei-China Trade Integration, Chapter submitted to the book “The Belt and Road Country Profiles (Brunei Darussalam)” edited by Siti Norkhelbi, forthcoming. 34. Nazlida M, Masairol and A. Khalid. Brunei Halal certification: a review and way forward, book chapter submitted for a book, “The Islamic Economy: Consumer Culture in Muslim Southeast Asia”, Springer, forthcoming. 35. Nazlida M, Masairol and A. Khalid. Case Study Brunei Halal Certification process for fresh meat imports, book chapter submitted for a book published by USIM, forthcoming. 36. Khalid, A. M. and A. Saeed (2015). Australia in Asian Century: Achieving Financial Stability through Financial Market Integration, in “The Australian ‘National Interest’ in the Asian Century: Trade, Investment and Security”, World Scientific. Singapore. 38. Khalid, A. M. (2013). The Power of BRICS in the World Trade and Growth, Chapter submitted for a book on “The Rise of the BRICS in the Global Political Economy: Changing Paradigms?” edited by Vai Lo, Edward Elgar publishing company, London. 39. Khalid, A. M. (2012). Global Financial Crisis - Consequences and Implication: Comparison of Developed and Emerging Economies, in Global Financial Crisis – An Alternative View, edited by M. Ariff, J. Farrar and A. Khalid, Edward Elgar Publishing Co. London, 104-126. 40. Gaston, N. and A. M. Khalid (2010). Globalisation and Integration in Asia Pacific: Prospects and Risks, Introductory chapter in Globalisation and Integration in Asia Pacific: Prospects and Risks edited by N. Gaston and A. Khalid, Edward Elgar Publishing Company, U.K., 3-24. 41. Khalid, A. M. and S. Anwar (2006). Corruption, Governance and Economic Development in Pakistan, in Corruption, Governance and Democracy in South Asia, edited by R.J. May and Binayak Ray, Towards Freedom, India, 126-162. 42. Khalid, A. M. (2006). Twin Deficits in South Asian Economies: Observations and Empirical Evidence, in India and South Asia: Economic developments in the Age of Globalization, edited by Anjum Siddiqui, ME Sharpe Inc (USA), 93-116. 43. Khalid, A. M. and A. Tyabji (2002). Financial Sector Developments: Strategies and Challenges, in “Singapore in the 21st Century: Prospects and Challenges”, McGraw-Hill Publishing Company, Singapore. 44. Khalid, A. M. (1995). Financial Programming for the Economy, in “20th SEANZA Central Banking Course”, State Bank of Pakistan, Karachi. 46. Khalid, A. M. and A. Kemal (2005). The Choice of an Anchor Currency under a Tri-Polar Regime: The Case of South Asian Countries, Study Commissioned by the Pakistan Institute of Development Economics (PIDE) and funded by the UNDP under TOKTEN, PIDE/TOKTEN Series No. 1. 47. Khalid, A. M. and N. Hanif (2005). Corporate Governance of Banks in Pakistan: Recent Developments and Regional Comparisons, Study Commissioned by the Citi-Group and the Lahore University of Management Sciences (LUMS). CMER Working Paper No. 05-42. 48. Khalid, A. M. (2005). Trade Liberalization, Growth and Investment: A Sensitivity Analysis for Selected Southeast Asian Economies, final project completion report submitted to National University of Singapore. 49. Khalid, A. M. (2000). Financial Market Contagion: Asia and Beyond, (with Masahiro Kawai), Consultancy report submitted to the World Bank, Washington, D.C.
50. Siregar, R.Y, T. Abeysinghe and A. M. Khalid (2000). APEC Growth Recovery Initiatives: A Survey of Singapore, Report commissioned by the Asian Development Bank, Manila, the Philippines. 51. Khalid, A. M. (1999). Policy Response to the “Crisis” in Thailand, Malaysia and Indonesia: A Brief Assessment, Report commissioned by the Asian Development Bank, Manila, the Philippines. 52. Khalid, A. M. (1999). Financial Liberalization in South Asia: Lessons for East- and South-Asian Emerging Economies, final project report submitted to the National University of Singapore. Consultant, ERIA for a project on Halal products and certification. Brunei Darussalam, 2016-17. Regulation, Supervision and Performance’ Lahore, March - May 2004. Visiting Consultant, UNDP-TOKTEN, Pakistan, September –October 2002. Indonesia, Malaysia and Thailand”, October 1999. Singapore: Issues for the 21st Century”, March 2000.